Blue Line is proud to announce the release of a new model Flat Box - the Blue 2. Although we had made several changes to the old design, it was essentially the same as the Premier box from 20 years ago - time for an update! 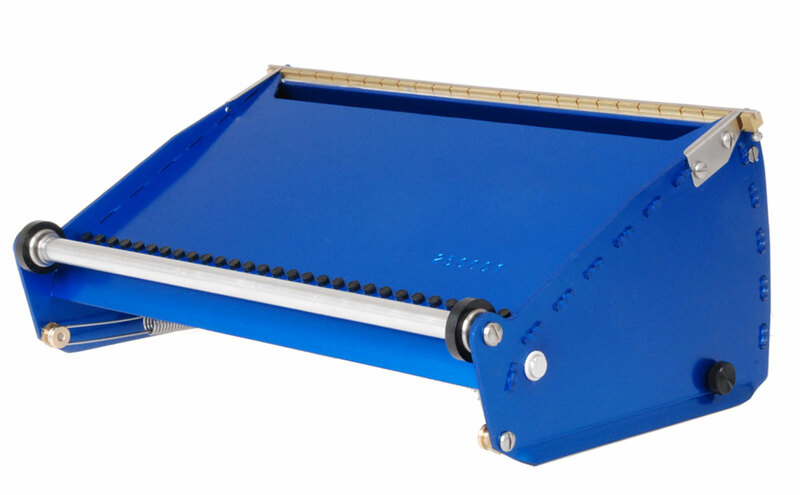 The Blue 2 boxes feature a smaller side profile, while retaining the same capacity. We have changed the blade retainer design and all boxes now have two actuator pins. The spacing of the ratchet teeth is now tighter and along with a lighter spring, provides a finer adjustment for compound coverage. New Pump Primed for Action!